Women deal with menstrual cramps during their menstrual cycle as a norm. The pain can get worse at times which needs relief through remedies or medicines. 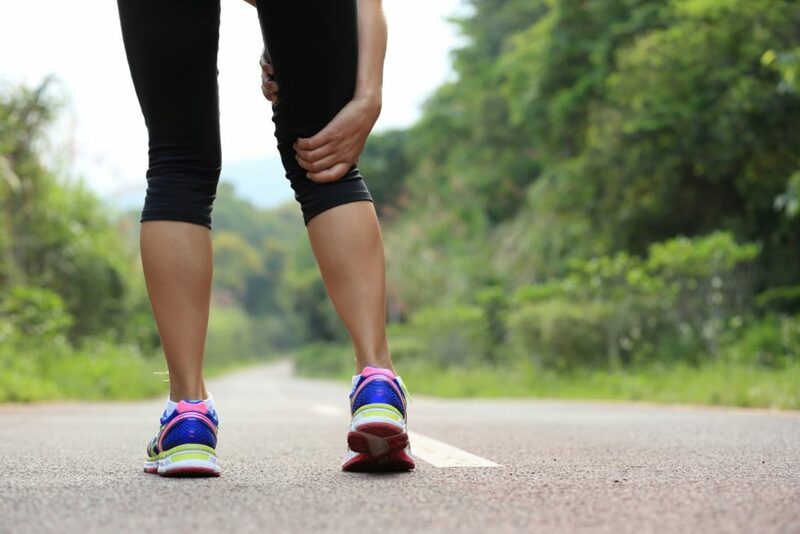 The pain in the abdominal area usually spreads to other areas when it gets intense and this may be the reason for your legs hurting during that time. There are many ways to alleviate the aches you suffer from during the menstrual cramps. Discussing the causes can guide you better about how to treat your condition. What Causes Leg Pain Before Periods? A chemical is released to contract uterine muscles and cause abdominal pain which then spreads around and legs hurt as a result. Higher levels of the chemical will also cause other symptoms like headaches, diarrhea, vomiting, and nausea. Although women may not have the symptoms in every cycle, they should still be aware of the treatment options available for them. The aches may note referred to an illness as it is part of the cycle and the symptoms will soon go away. However, fibroids and endometriosis-related pain may be a cause of concern for women as the pain gets intense with it. Prostaglandin is a chemical that makes many hormonal changes in a woman’s body if it is unbalanced. It affects the uterine muscles which may also cause cramps in the abdomen or other areas. Although the issue is very common among women of the reproductive age, it may be treated with over the counter medicines or home remedies most of the time. This is a common issue with women in which the uterine muscles grow outside the uterus which causes hormonal disturbance resulting in pain. Fibroids are non-cancerous tissues growing in the uterus which increases in size and cause pain in legs. Women are prone to infections during their menstrual phase as there is the number of reasons to let virus enter the body. Women suffering from reproductive dysfunctions are prone to leg pain because of cysts, narrow cervix or abnormalities in pregnancy. Anemic women may also have complaints of leg pain as their hemoglobin levels are lower than normal. This deficiency may result in weakness as women lose blood every cycle and don’t have a replacement of the blood cells as required with anemia. Iron-rich foods may help you overcome this deficiency as it is essential for optimal health. Women should have their hemoglobin levels checked if they’re facing aches more often. It is important to include dark leafy green vegetables, fresh fruits, meat, dairy and eggs in your diet to have a balanced intake of all foods. The only thing to take care of is that you do not take iron with calcium as they both won’t be able to get absorbed in the body. Women have blood loss during each cycle which makes them weaker if their diet is not balanced. Replacing the lost nutrients regularly will keep you fit and healthy. Some women suffer from leg pain during the first couple of days of the period as the chemical production peaks in that time frame. This can either be tolerated or treated by following remedies. It should be noted that the pain usually goes away if it is not a major cause of concern. However, if it persists for longer than usual time, it may be because of an underlying health problem. The problems have been mentioned above like fibroids and endometriosis.